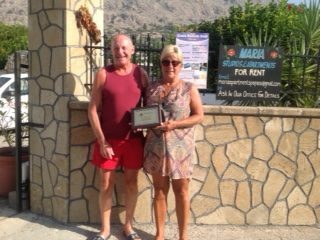 In appreciation of our guests, Daryl and Suzanne Robinson, visiting Pefkos for their holidays, several times a year for 20 years. Presented at the Pefkos Festival 18th /19th September 2017. Thank you and we look forward to the next 20!